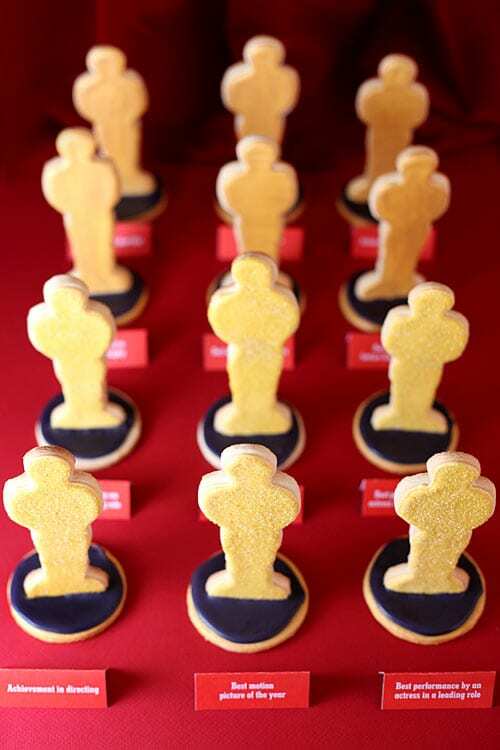 As per the usual, Bakerella can do no wrong – these Academy Awards inspired Oscar-shaped sugar cookies are brilliant. They even stand upright in a little sugar cookie stand a la official awards statue. Hi. Like I said – brilliant. The miniature statue cut outs are covered in royal icing and sprinkled in shimmery gold sanding sugar and, perhaps best of all, they look downright yummy, too. 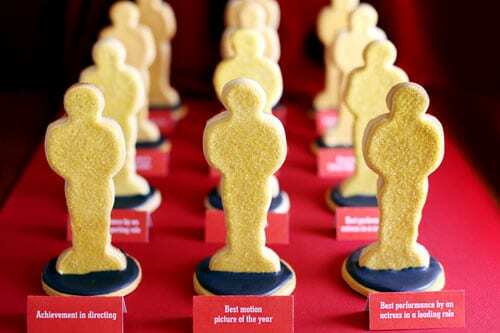 You can bet I’d be making these for the Oscar party this weekend if I could get my hands on one of these statue cookie cutters in time.